This is a recording of a keynote address to a national congress of the same name. Delegates included all those involved with the educational community, including policy-makers, administrators, consultants, school board representatives and high-school teachers. 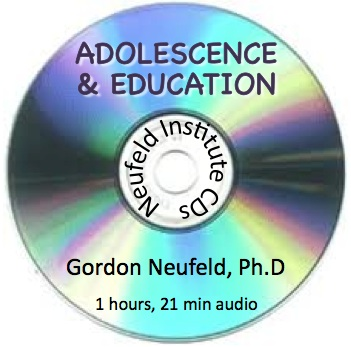 Dr. Neufeld addresses the escalating gap between what is taught and what is learned and shares his conclusions about where our efforts should be focused if we are to make headway in educating our youth. This address covers some of the same ground as the keynote on the Teachability Factor but with a different focus and arena of application.